Frontend database of Commodore 64 games. Is there a better alternative to GameBase64? Is GameBase64 really the best app in Gaming Tools and Utilities category? 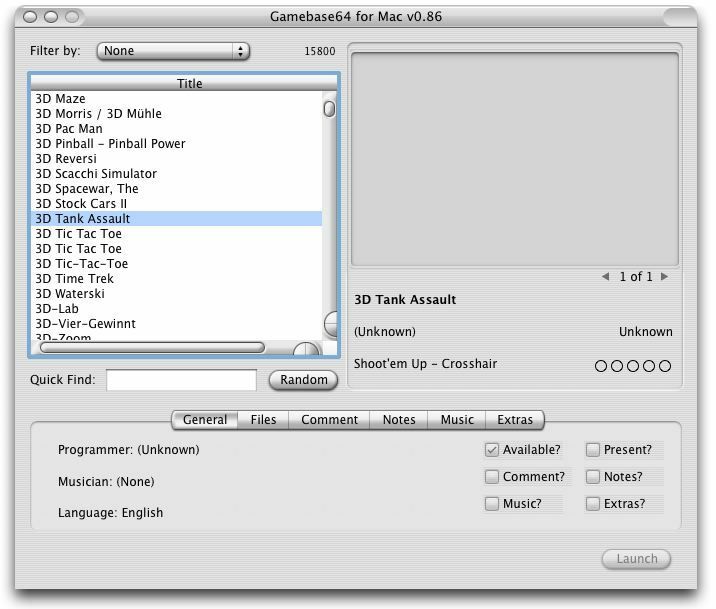 Will GameBase64 work good on macOS 10.13.4? GameBase 64 is a frontend for the GameBase64 database of Commodore 64 games. You can browse the collection of almost 16,000 software titles, view information and screenshots, and launch them with your C64 emulator. GameBase64 needs a review. Be the first to review this app and get the discussion started! GameBase64 needs a rating. Be the first to rate this app and get the discussion started!